The text of the statement is given on the official website of the Russian Foreign Ministry. "We have a lot in common with regard to the Caspian perspective and interested in attending a summit without delay. Some preparatory work for the event is underway," Lavrov said. The Russian foreign minister also noted 'the high level of attention paid by our Turkmen friends to the problem of ecology in the region. We fully support the approaches to address these issues jointly along with other littoral states'. Lavrov said Turkmenistan has put forward the idea of discussing climate change in a broader regional context, not only in relation to the Caspian, but Central Asia as well. "We support this direction and believe its assessment and specification will contribute to the common global efforts aimed at preventing the negative effects of climate change," the Russian minister said. Azerbaijan, Iran, Kazakhstan, Russia and Turkmenistan have access to the Caspian Sea. The area was regulated by the treaties of 1921and 1940 between the USSR and Iran. On Nov. 29, 2001 and Feb. 27, 2003, Kazakhstan and Azerbaijan signed an agreement on the delimitation of the area. Kazakhstan, Azerbaijan and Russia signed an agreement on the delimitation of adjacent sections of the Caspian Sea on May 14, 2003. 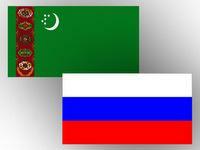 Turkmenistan was the initiator of the first Summit of Heads of the Caspian Littoral States held in Ashgabat in 2002. 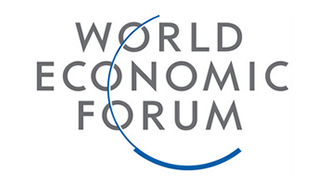 The second summit was held in Tehran in 2007 and the third in Baku in 2010. For Turkmenistan with the fourth largest natural gas reserves in the world after Russia, Iran and Qatar, the route to Europe via the Caspian Sea and Azerbaijan is looking increasingly attractive. The Turkmen side has expressed its readiness to conduct an appropriate environmental impact assessment to implement this project. The Caspian Sea is the world's largest inland water reservoir of climate generating importance not linked with any world ocean. It is unique for preserving various relict flora and fauna, including the world's largest shoal of sturgeon (90 per cent of the world's supply).